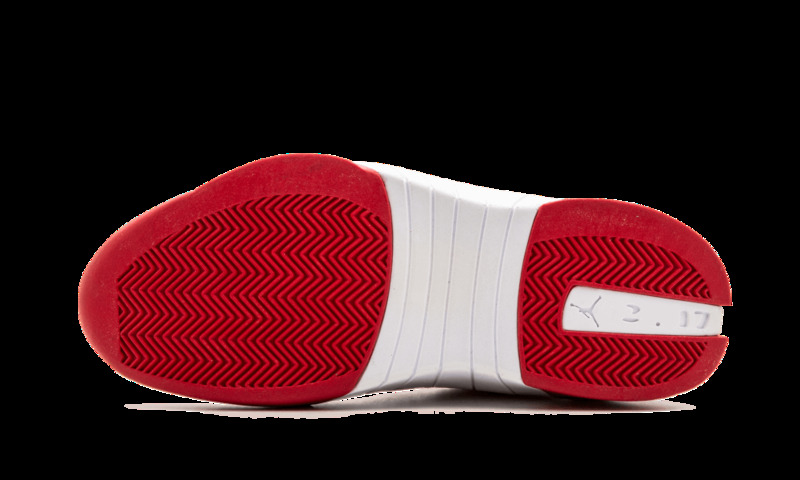 An ultra-unique shape makes the XV one of the most distinctive in the Air Jordan line. This colorway was released as part of the "History of Flight" pack, which celebrated the 25th anniversary of the Air Jordan I by applying the original's white and red color scheme to every model through 2012. 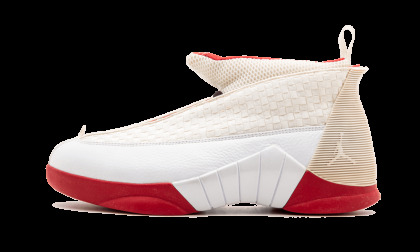 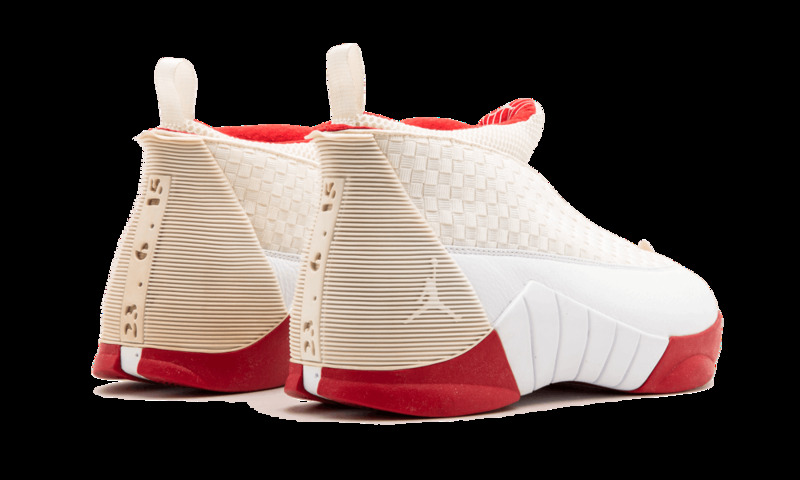 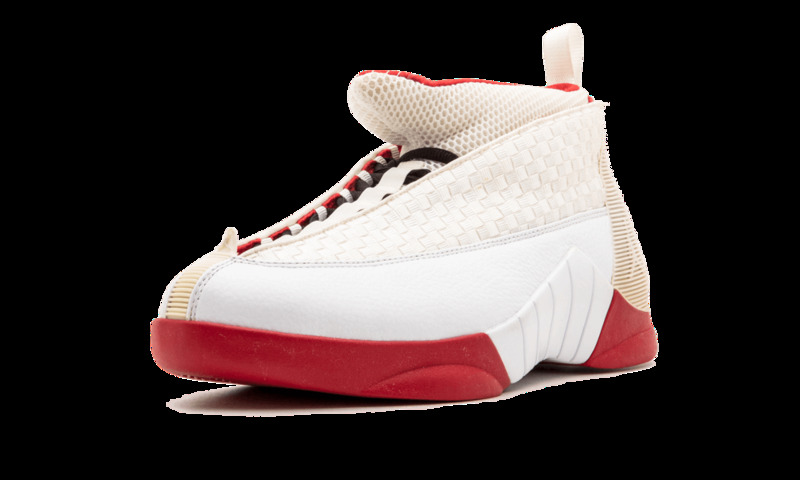 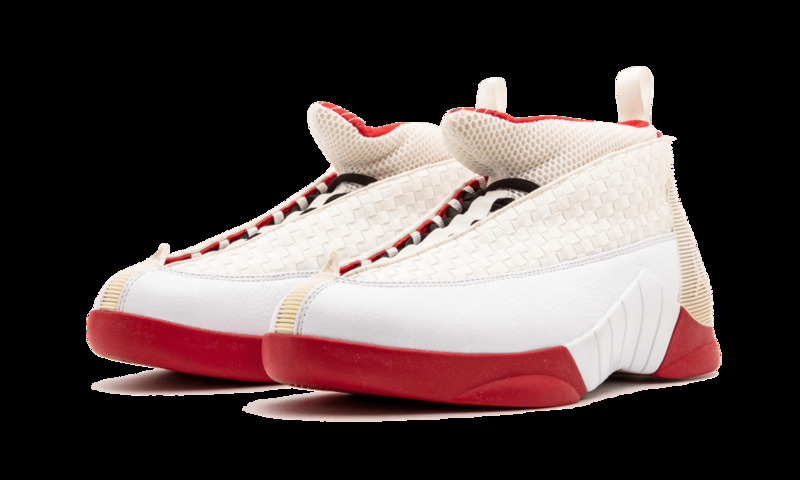 It features a white leather mudguard and woven upper, with red accents on the outsole and inner lining.